In this article, we will look into using PowerShell in order to get some information about Hyper-V Host and VM. 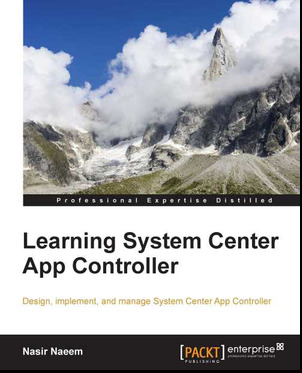 I’m using this to simplify on my documentation at the end of the project. 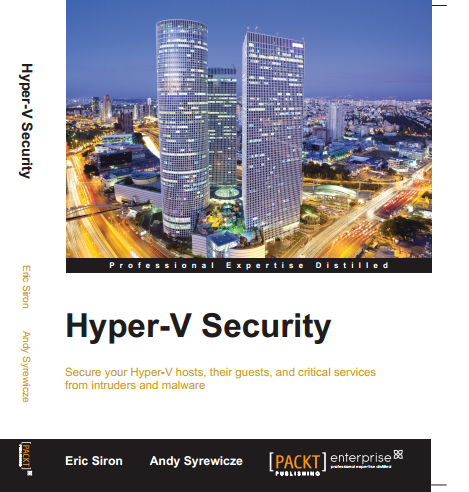 Before we begin, you need to download Powershell Management Library for Hyper-V. To download, go to http://pshyperv.codeplex.com/releases . Current latest version is R2 SP1. Well, most people don't like coding and prefer to use GUI. However, in certain way in order to get the end result faster then PowerShell is the answer. Let look into some PowerShell command that you can use especially want to document your final result. a) Extract the zip file and execute install.cmd from command line. To use the PowerShell, you need to import the Hyper-V Module. To know which command available, you can export the command to a text file. 3. 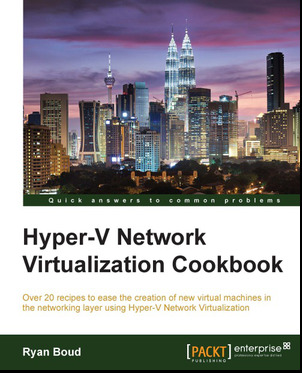 Get network information such as network type, virtual switch and mac address assign to vm. I often use this command to identify duplicate mac address assign to the VM. 4. Get information about virtual cpu on the running vm or per vm basis. 5. Get information such as snapshot apply to the vm. That’s all for now, a simple cmdlet. Do explore on other PowerShell cmdlet that get you to another end result that you want. Veeam Backup & Replication v6 is a major release of Veeam’s industry-leading data protection and disaster recovery solution for virtual environments, which combines agentless image-based backup and replication in a single product. And with v6, Veeam is taking data protection to the next level for both VMware vSphere and Microsoft Hyper-V.
c) Multiple Hyper-visor support. v6 adds support for Windows Server Hyper-V and Microsoft Hyper-V Server. and more, click here to read more detail. Don’t miss the chances to be notified when v6 release to public, click here to register. In today session, I've discussed about the new features which available in Hyper-V Vnext on Windows 8 to TechInsight members. 1. Download Windows Sidebar from here. 8. On your desktop, click Options at the Hyper-V monitor to start the configuration. 9. Enter Hyper-V Host details. 10. Here is the end result. You can console/remote desktop to Hyper-V Host or Virtual Machine. Additional tool tip able to provide additional information. Note:- Limitation. So far it did not work when connect to local Hyper-V Host. 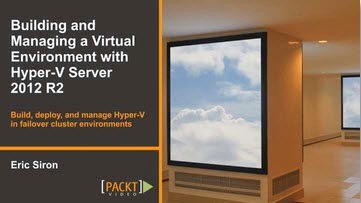 However, you can use to monitor Remote Hyper-V Host. Did you notice something different on the top-right side of my blog (www.ms4u.info)? Yup! a new sponsorship from ??? (why don’t you just click on above picture and find out who is our new sponsorship?). Just give you a little hint: “I use to perform R & D using this backup tool before i move to DPM”. Even one of the component is working with DPM. Probably i can share with you on my next post about this. Besides that, i take opportunities to thanks Veeam and Altaro on renewing their sponsorship for another 3 month. 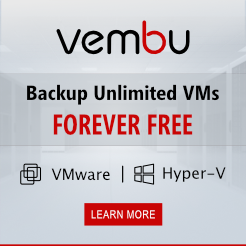 Coming soon Veeam Backup and Replication 6.0 for Hyper-V. Click here to register for the 1st to get information when product launch. Altaro Hyper-V Backup -Hyper Easy, Hyper Fast, Hyper Effective. Do you want to know more? Click here. Probably need to find other sponsorship which is not related to backup software.. In this post, we will look into how to switch primary to recovery VM or via versa. 2. The remainder of the screenshot will display in thumbnail. Pls click to view on larger view. The configuration is similar as configure Hyper-V replica. 3. Once you have set Reverse Replica, both VM will transfer the role. In this post, we are going to test perform planned or unplanned failover Hyper-V Replica. Planned failover mean the existing primary VM is intact but you would like to use the replica VM. In order to achieve this scenario, you must turn off the primary VM before initiate Planned Failover. If you did not turn off the primary VM and initiate the boot up the system will provide an error message at the pre-requisite check. Therefore, you are require to use failover option to start the VM. 1. Right click the primary VM, select Replication and select Planned Failover. 2. Select Failover. The system will perform pre-requisite check. If passed then it will start to perform action as displayed on the below screenshot. Unplanned Failover occur when the primary VM has corrupted/unavailable. Therefore, from replica server, you will initiate failover. Primary VM- Make sure is offline. 3. The system will perform the pre-requisite check and action as listed below for the Failover to happen. In this post, we will look into Hyper-V replication status. 1. On the VM, right click to select Replication and select View Replication Health. Total replication errors. To view why replication fail, you can check at Event Viewer. You can select Pause Replication and Resume Replication from the Hyper-V Manager snap-in as well. 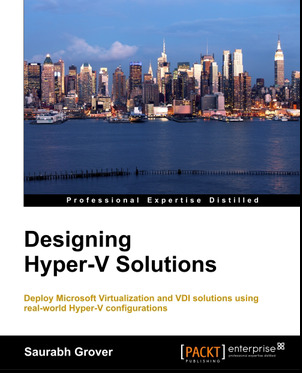 In the last post, we have configure Hyper-V Replica. Now is the time to test the replica before disaster strike. Today we are going to test the replica. Replica VM (Hyper-V Host 2@ Data Centre B) – offline. In order to test the replica, Hyper-V Host will create a clone of the Replica VM without network card attached. This allow us to boot up the Virtual machine and make sure the VM is working. 1. Using Replica VM, right click , select Replication and select Test Failover. 2. Select the recovery point. Here the system will create a clone of Virtual Machine. 4. Once finish testing, you can stop the test by right click on the replica VM, select replication and select Stop Test Failover. Then the clone VM will be removed from the Hyper-V Host. 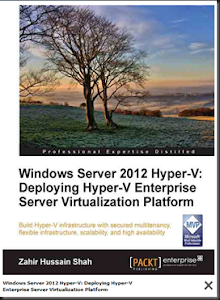 Stay Tuned for more Hyper-V Replica article on my next post.